Rolls-Royce has announced a £150m investment in new and existing civil aerospace facilities in the UK to support the planned doubling of engine production and deliver on our record civil aerospace order book. The investment, which will be made over the next few years, is part of Rolls-Royce’s ongoing industrial transformation and will provide additional capacity as we develop and test the next generation of aero engines. The majority of the investment, which is in-line with the group’s ongoing planned expenditure, will provide a new facility for the testing of large civil aero engines in Derby, the home of Rolls-Royce’s civil aerospace division. The new testbed will be capable of testing a range of engines including the Trent XWB, which powers the Airbus A350 XWB and is the world’s fastest selling civil large engine with over 1,600 on order from 45 customers in 31 countries. There will also be investment in large engine Maintenance Repair & Overhaul (MRO) facility in Derby, as well as in manufacturing facilities in Derby and Hucknall, Nottinghamshire. The company has also committed to retaining the Precision Machining Facility (PMF) in Derby, which we previously announced would be closed. The decision to invest in Derby helps to sustain more than 7,000 Rolls-Royce jobs across the East Midlands. Rolls-Royce currently employs around 22,300 people in the UK, across a range of skilled jobs, including more than 600 apprentices. 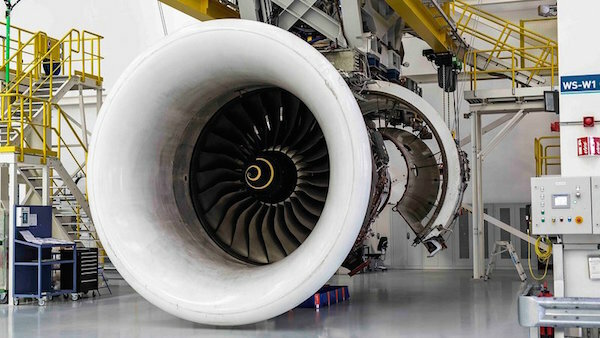 In addition to the Trent XWB engine, Rolls-Royce assembles the Trent 700 and Trent 900 engines in Derby, powering the Airbus A330 and the Airbus A380 respectively. Derby has also been home to the design and development of three new engines which are set to enter service shortly: the Trent XWB-97, which will power the Airbus A350-1000; the Trent 1000 TEN, which will power all variants of the Boeing 787 Dreamliner family; and the Trent 7000 which will power the Airbus A330neo.